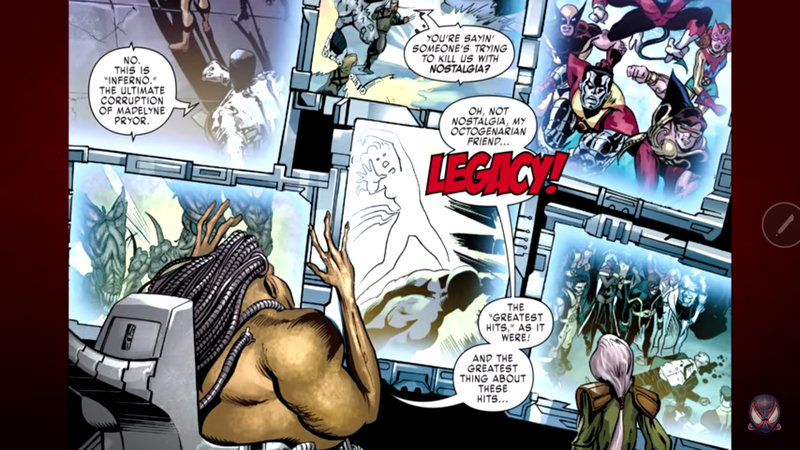 Through my dives into Marvel’s first wave of “Legacy” titles, I’ve been having a tough time wrapping my head around what exactly Marvel’s attempting to accomplish with this linewide branding. While Marvel Legacy #1 is itself a rewarding and compelling read for longtime fans, the follow up releases feature very little connective tissue, or clear themes. Jessica Jones #13 reconnects the character with the most memorable moments in her history, while Avengers #672 pretty purely carries on from the continuity of the preceding All-New All-Different era of Marvel (as part of a crossover no less). Anything else seems primarily like fancy window dressing, with Marvel slapping a shiny lenticular cover on the same turd sandwich (See also: metaphors, mixed). To its credit, the (yet again instant) crossover between X-Men Gold and X-Men Blue achieves both of these goals more effectively than most Legacy titles. This doesn’t mean it’s an easy new read if this is your first X-Men comic (apart from the impending X-Men: Grand Design, I’m not sure such a comic exists. X-Men Gold tosses readers headfirst into a team composed of Young, time-traveling X-men, Old Man Logan, and general leadership from one-time team noob, Kitty Pryde. There’s also the more immediate callback to X-Men Gold #6 in reference to Rachel Summers’ (aka… Presitge?) powerset. So essentially, this is still very much a continuity heavy puzzle. 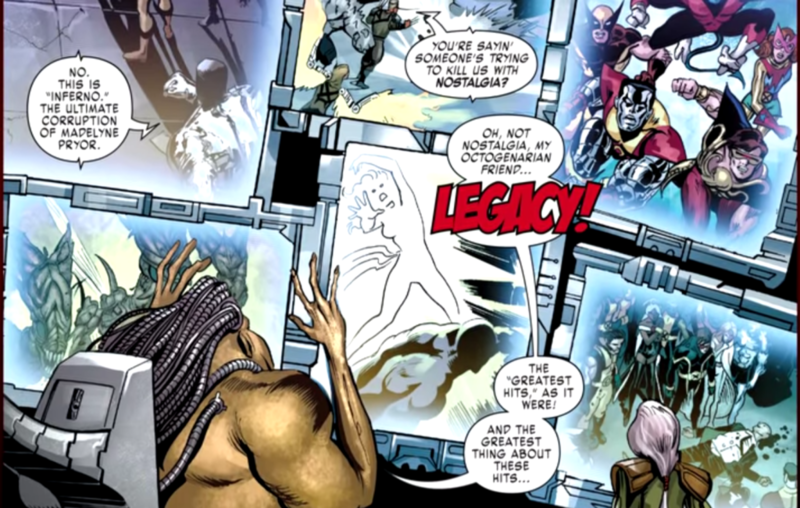 By X-Men Blue, though, the in depth references and in-the-know “greatest hits” threats become a key part of acknowledging and celebrating the X-Men’s legacy. If a reconnection with the past is the goal of Legacy, then an obsession with continuity should be rewarded, and that’s what we get with X-Men trapped in Days of Future Past and Inferno simulations. To its undying credit, X-Men Blue also includes a recap encyclopedia that attempts to sum up the major X-Men events that got the team to this place. This is a huge step in the right direction for Marvel, and one of the reasons I’m so positive about the beginnings of this “Legacy” crossover.